At 17, Jack Warden was expelled from high school for repeatedly fighting, so he turned professional, boxing as a welterweight under the name "Johnny Costello". The prize money was minimal, so he soon left the ring and worked as a bouncer at a night club, then served in the Navy and later the Merchant Marine. After America entered World War II, Warden joined the Army, serving as a paratrooper with the 101st Airborne air assault unit during World War II, and rising to the rank of Sergeant. He missed Normandy only because he broke his leg in several places landing on a fence in a nighttime practice jump, days before that battle. Recuperating from his injuries, Warden read a play by Clifford Odets and decided to become an actor. After several years in small, local productions, his first film was 1951's You're in the Navy Now. On Broadway he appeared in The Man in the Glass Booth with F. Murray Abraham and Abe Vigoda. In his most famous film roles, Warden played the disinterested Juror #7 in Twelve Angry Men, the bigoted boss in Edge of the City, Clark Gable's right-hand man in the submarine drama Run Silent Run Deep, the local news editor who stood behind Woodward and Bernstein in All the President's Men, the befuddled football coach in Heaven Can Wait, the doddering, gun-toting judge in And Justice for All, the German doctor in Death on the Nile, the President impressed with Peter Sellers in Being There, twin car salesmen in Used Cars, Paul Newman's law partner who argued for a settlement in The Verdict, and the theater producer in Woody Allen's Bullets over Broadway. 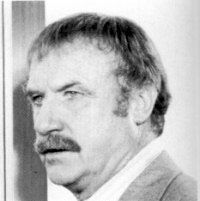 On the small screen, he played the coach on Mr Peepers with Wally Cox for two years, and played detectives in three later TV series, N.Y.P.D. in the late 1960s, Jigsaw John in the mid-1970s, and Crazy Like a Fox in the mid-1980s. He also played coach George Halas in the tearjerker Brian's Song, and starred in a well-remembered 1959 episode of the original Twilight Zone, as a convict imprisoned for life on an asteroid, who falls in love with his robotic minder.